An Oregon school district has voted not to provide contraceptives in a high school health clinic. 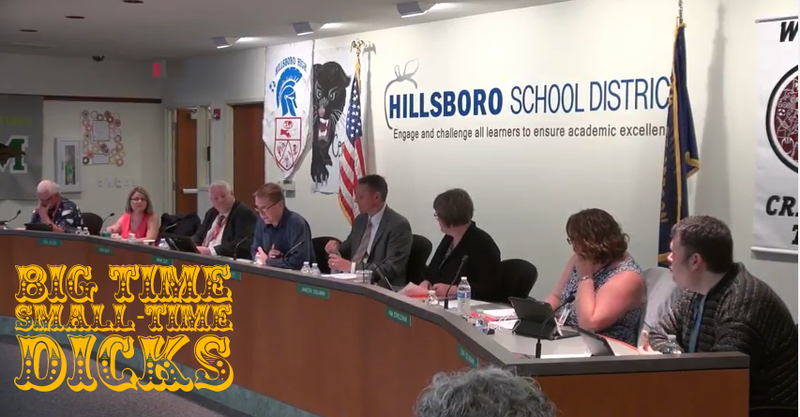 To be more precise, the four men of the Hillsboro School District Board voted not to provide contraceptives, while the three women on the board voted in favor. Yep, that checks out, doesn’t it? The Virginia Garcia Memorial Health Center wanted to offer birth control services on the Century High School campus. Century is currently able to refer students to other health clinics for birth control, but the argument was that it made far more sense to provide those consultations and prescriptions in-house. Oregon law allows people to begin making their own primary care medical decisions without parental notification at 15. When the proposal was met with resistance, Virginia Garcia officials offered a compromise of sorts, suggesting they could only provide oral contraceptives but not Depo-Provera, IUDs, or arm implants (presumably under the assumption that the pill feels more familiar and less scary to skittish school board members). That, too, failed: the board voted 4-3 to deny contraceptives altogether, with chair Wayne Clift, vice chair Glenn Miller, and other men Monte Akers and Erik Seligman voting against the proposal. As it stands, the local Planned Parenthood affiliate will be one of the only options for these students to get birth control, albeit a less convenient one. When you’re struggling to get access to birth control, high school students at Century, you know who to thank: these guys.